Reviews Rick Stein restaurant Bannisters – “We enjoyed a Sunday lunch at the Rick Stein restaurant. Once again a great experience with good service, excellent food and value for money as would be expected for a top class restaurant.” Phil and Margaret J. Sydney. 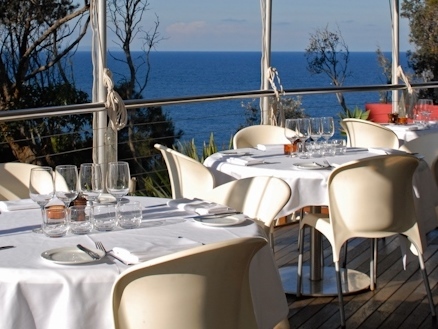 Reviews Rick Stein restaurant Bannisters – “A great setting with wonderful food.” Bob and Mary P. NSW South Coast. Reviews Rick Stein restaurant Bannisters – “Excellent food and service. World Class dining.” Ray and Janet E. Sydney. Reviews Rick Stein restaurant Bannisters – “We rated the Rick Stein Restaurant at Bannister: ‘Experience’ – Fabulous, ‘Service’ – Fabulous, ‘Quality’ – the best, ‘Value for Money’ – Expensive.” Carolyn and Chris F. Sydney. Reviews Rick Stein restaurant Bannisters – “Our favourite restaurant on our visit to Mollymook, Milton, Ulladulla was Rick Steins at Bannisters. It was excellent.” Greg and Julie P. Chicago, USA. Reviews Rick Stein restaurant Bannisters – “Feeling very privileged to be able to take up the 3 course lunch offer at Rick Stein’s Restaurant. The food was superb each of the courses I ordered had something a little different and extra special to excite the eyes and taste buds. The new decor is also worth noting, tastefully coloured, modern and comfortable. All these elements where supported by great service and attention to detail. Made for a wonderful afternoon.” Leah and Brian. St Kilda, Victoria. Reviews Rick Stein restaurant Bannisters – “Lunch at the Rick Stein restaurant was so special. On arrival we were greeted by our first name and also later by the waiter and waitresses. We felt special! 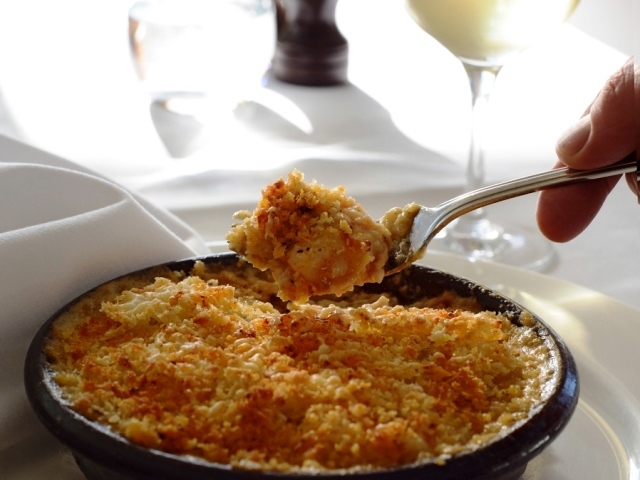 We love the signature dish, the ‘Fish Pie’ and like on previous occasions it was ordered which we chose to share. As usual, MAGNIFICENT! The size of the serving and the flavours are unmatched anywhere, and we do eat out at many restaurants. Today with our waitress encouragement we moved outside our comfort zone and tried a fish curry. Reticent, thinking the curry would take away from the fish but on the contrary it enhanced the flavours. We had the Indonesian Seafood Curry and the flavours oozed from the dish. A wonderful lunch in such a tranquil setting with the ocean in full view. And I must add the service was excellent as would be expected in such a classy, awarded and highly acclaimed restaurant. Highly recommended.” Ken and June Mollymook. Reviews Rick Stein restaurant Bannisters – “The Rick Steins Restaurant is worth the money for the experience.” Penny and brian S. Sydney. Reviews Rick Stein restaurant Bannisters – “We enjoyed a Wednesday lunch with the family at Rick Steins Restaurant. 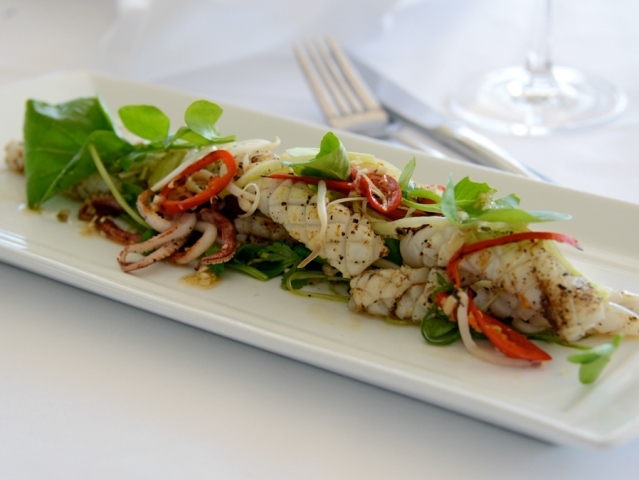 Expensive, but excellent food and service.” Robina and Ian L. ACT. Reviews Rick Stein restaurant Bannisters – “We enjoyed a lovely evening at the Rick Stein restaurant with good food.” Ann & Denis S. Tumut. Reviews Rick Stein restaurant Bannisters – “Exceptional as always.” Rob and Jane M.
Reviews Rick Stein restaurant Bannisters – “Expensive but worth every cent – great food, service and venue.” Rob and Yvonne. Victoria. Reviews Rick Stein restaurant Bannisters – “Fabulous. Everything as we expected – Loved it.” Jane and Michael. NSW Central Coast. Reviews Rick Stein restaurant Bannisters – “We celebrated our 50th wedding anniversary with dinner at the Rick Stein restaurant. My wife and I both chose his signature dish, ‘The Fish Pie’ As usual it was absolutely mouth watering, filled with so many seafood flavours. We give it our highest recommendation.” Ken and June. Mollymook. 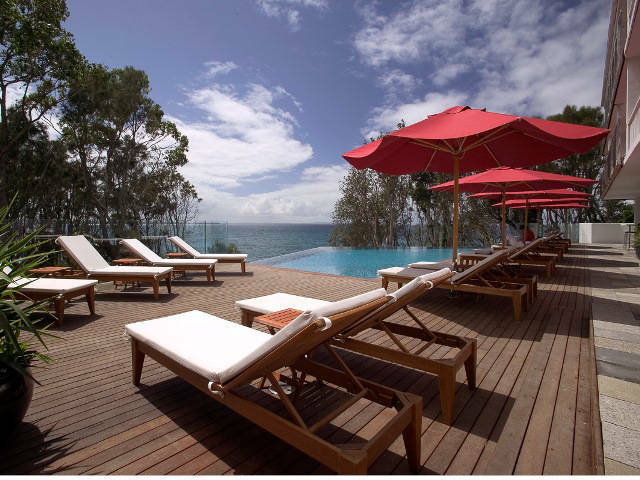 Reviews Rick Stein restaurant Bannisters – “We dined at the Rick Stein restaurant at Bannisters for dinner and it was up to its usual good standard.” Denis and Ann S. Country NSW. Reviews Rick Stein restaurant Bannisters – “We chose to go to the Rick Stein restaurant for the Wednesday Lunch special. We were served three courses for $70 per person. There was a lovely menu to choose from including his signature dish the ‘Fish Pie’. All up it was excellent value and a wonderful experience.” Stan and Janelle. Sydney. 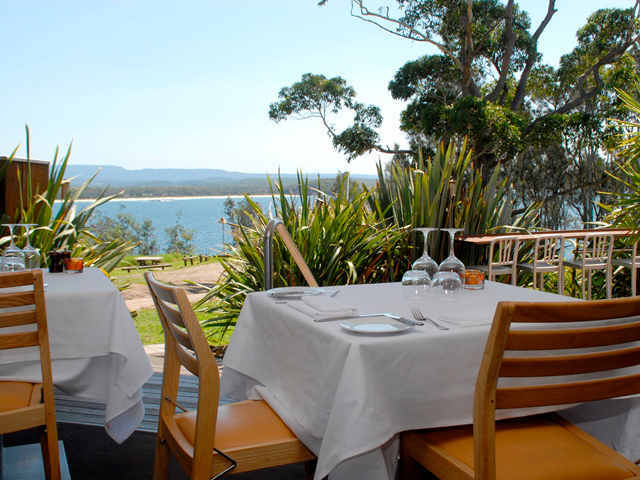 Reviews Rick Stein restaurant Bannisters – “Fabulous experience, excellent food and great service.” Daryl and Kerrith. Vic. Reviews Rick Stein restaurant Bannisters – “Worth every cent. Excellent service, quality of food, value and overall experience.” Edward and Denise B. Penrith. Reviews Rick Stein restaurant Bannisters – “Bannisters as we expected it to be, food fresh and presented well, service professional and relaxed” Wendy and Peter T. Country NSW. 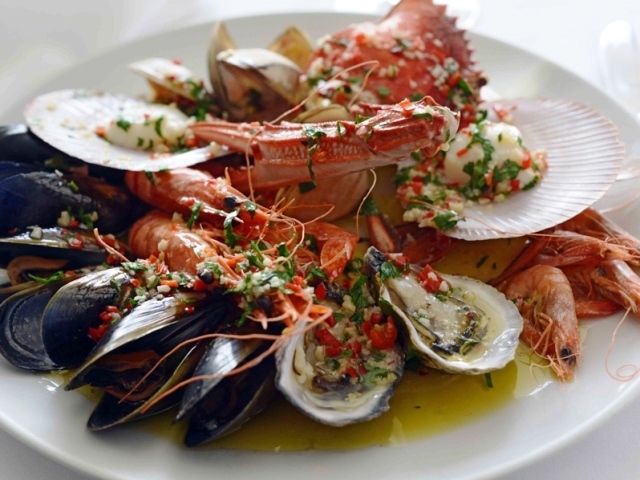 Reviews Rick Stein restaurant Bannisters – “Rick Stein – Special occasions, expensive, great seafood.” Carolyn. Blue Mtns. 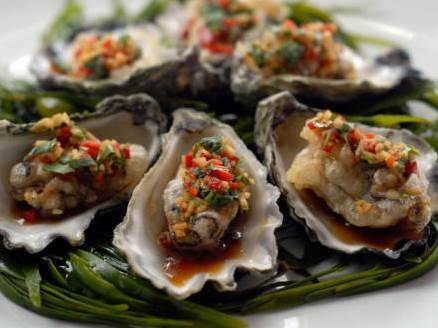 Reviews Rick Stein restaurant Bannisters – “Bannisters: 4 out of 5 for great food and service. (For seafood lovers and special occasions)” Jenny and Michael. ACT. Reviews Rick Stein restaurant Bannisters – “Bannisters: We rate the quality of food, the service and the experience highly, value for money OK.” Michael and Saskia. Nowra. Reviews Rick Stein restaurant Bannisters – “We took our Victorian friends to the Rick Stein Restaurant at Bannisters. They absolutely loved it. As always I choose my favourite dish the Seafood pie. Loved it. I ate slowly to try and make it last longer. My friends had the snapper accompanied with a plate of oysters. The wine list was extensive and we began with champagne and finished with a soft Cabernet Merlot and Affogato desert. A wonderful and relaxing way to spend a lazy Saturday lunch. The service could not be faulted”. Ken and June. Mollymook. Reviews Rick Stein restaurant Bannisters – “Bannisters Restaurant. Excellent, memorable – price as expected.” Sue and Craig. Sydney. Reviews Rick Stein restaurant Bannisters – “Bannisters. The food was great – fresh seafood with wonderful flavours. Service was good, especially when it came to catering for a celiac diner. A bit pricey but worth the visit!” Denica and Victor. Sydney. 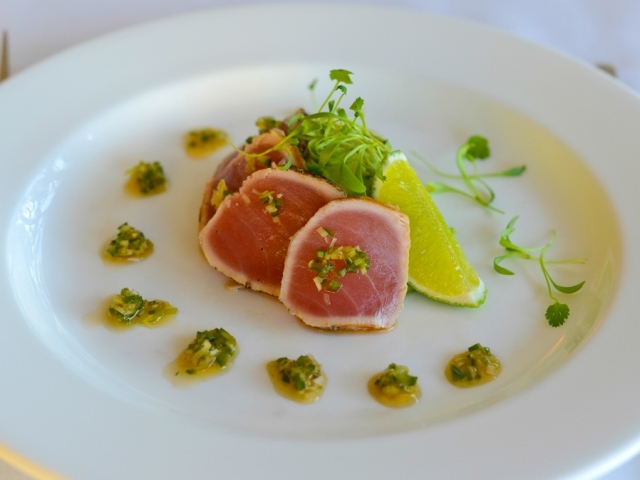 Reviews Rick Stein restaurant Bannisters – “We enjoyed outstanding food and service”. Rod and Chris. Sydney. Reviews Rick Stein restaurant Bannisters – “Rick Stein @ Bannisters. Fantastic cocktails and fish pie to die for. 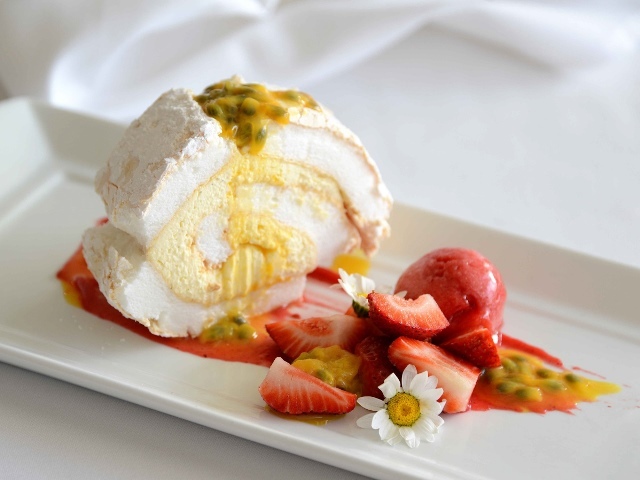 Could not fault the the food, service or ambience.” Gaynor and Dom T. Sydney. Reviews Rick Stein restaurant Bannisters – “Rick Stein – THE BEST! Wonderful food and service. Expensive but worth it. Linda and Ron S. Sydney. Reviews Rick Stein restaurant Bannisters – 10/10 food experience. Very polished with food that was sophisticated, tested your flavours and with a perfect wine list to match. Love the Clyde River oysters. Rachel. Sydney. June 2014.